Hope everyone is having a great and crafty Saturday! I have a new card to share. I have some stamps from StampingBella that I haven’t had time to use yet. I have a few birthdays coming up, so I decided to ink one up. I LOVE these stamps! They are so cute and some have such great sayings with them! 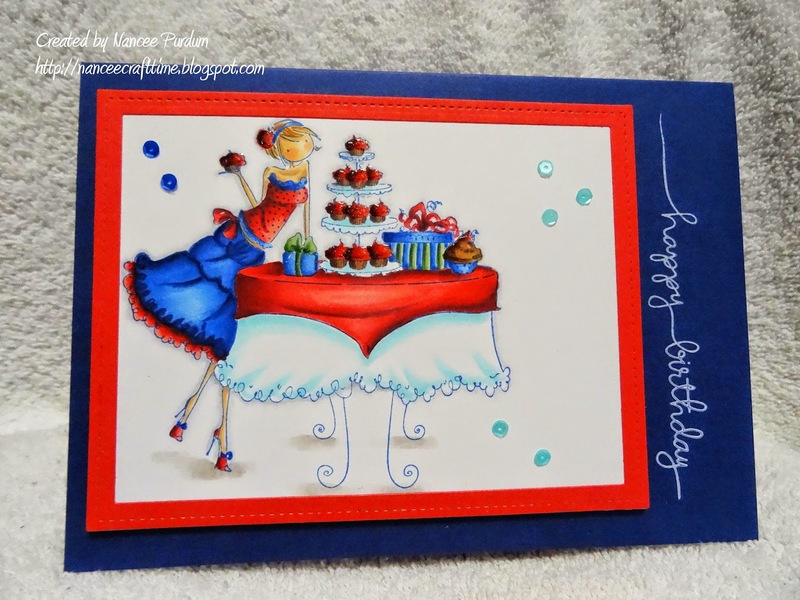 Anyhoo…here is the card I created using Uptown Girl Caitlyn has a Cupcake Party. Such an adorable stamp! A close up of the image. . . I used my Copics to color her. I made a simple from using the Large StitchedRectangle die from Lawn Fawn. 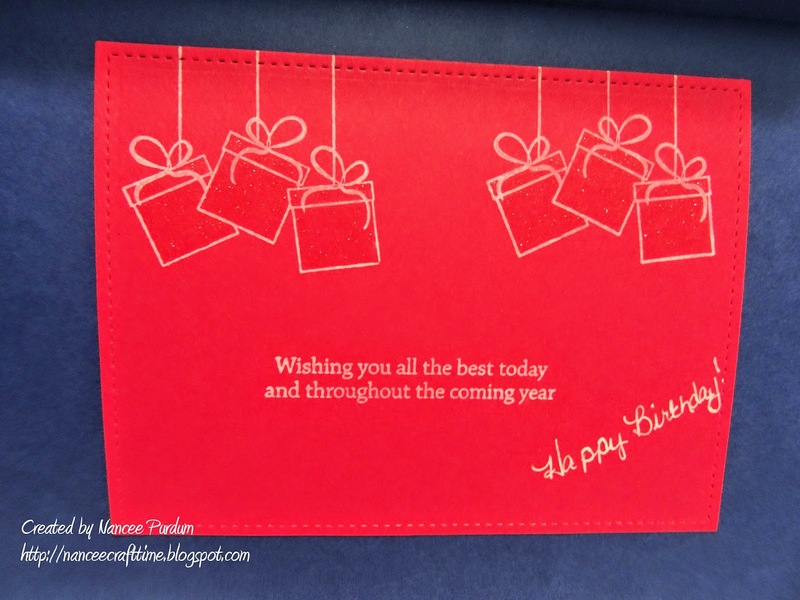 I used the Happy Birthday from the HandwrittenBorders stamp set from Simon Says Stamp. On the inside I used a sentiment from the Happy Birthday To You from Gina K Designs. The hanging presents are from the same stamp set. I used a die from the Small Stitched Rectangle die set for the inside. The sequins are from Pretty Pink Posh, Aquamarine and Cobalt, 4mm. I love their sequins! 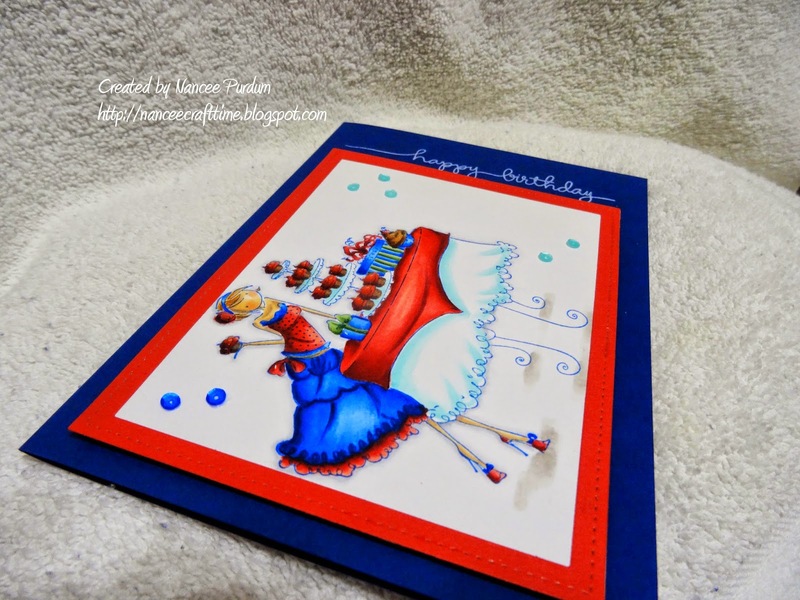 Fabulous coloring and card designing Nancee! Super fun image and love the scripty sentiment down the side! 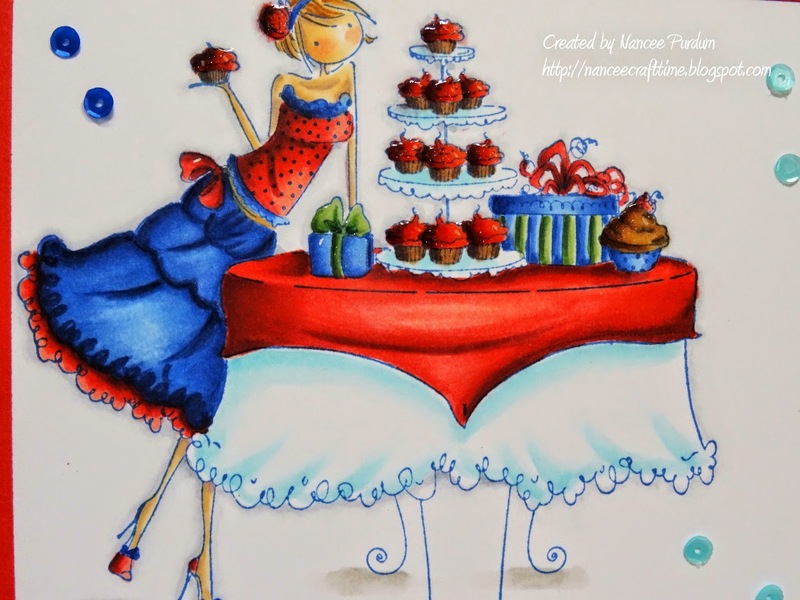 What vibrant colors and stunning coloring Nancee. Great card. Love the the vibrant blues and reds. The sentiment is really neat.